An "open" series of events designed for the waters of NE Ohio and the bass anglers who make it happen. Each NOAA event is capped at 60 paid teams. Each event will pay one hundred percent of entry fees the day of the event. The top TEN spots will always be paid regardless of the number of entries making for a total of 12 checks available. Anglers of the Year and Championships already have their respective places. This trail seeks the best of the best for single day competition, a secondary companion trail for anglers to fish on their strong lakes. There will be plenty of smiles, positive comraderie and checks that reflect 100% of your entry fees the day you fish. This open trail is being provided for the angler, with 100% commitment from anglers who run the show. See the links below for complete rules, registration and payout ! GIANT BAGS & BASSES ARE HERE! Are you still trying to figure out the "catch" or "hook" to "lure" you to our events!? There isn't one! 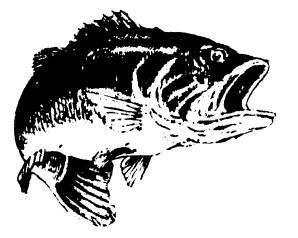 The Northern Open Anglers Association is provided for you- THE ANGLERS of Northeast Ohio who have taken the levels of bass fishing to the finest form- the livewell. When you show us your livewell- we'll show you the cash. CASH for your efforts while fishn' in your backyard. If you show up- we'll pay you if you win. Not a little, but a lot- the whole entry you gave us that day as a matter of fact! It's that simple... as simple as a little green fish. RETURNING 100% TO ANGLERS IN TOP TEN CHECKS REGARDLESS OF PARTICIPATION!